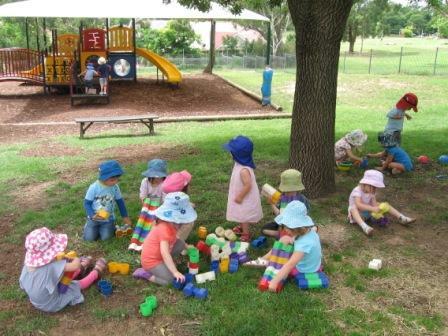 The French-Australian Preschool is a not-for-profit association managed by a Board consisting of parents, staff and community representatives. It is entirely self-funded and does not receive any subsidy from either the Commonwealth, the ACT or the French governments. It has been successfully operating in Canberra for over 40 years. We offer a unique program, which is a fusion of French curriculum "Qu'apprend-on a l'Ecole Maternelle?" and the Australian Early Years Learning Framework (EYLF). It fosters the children's holistic development through structured intentional teaching as well as play-based and child-initiated projects. With our progressive immersion in French, the children develop a greater understanding of how languages work and enrich their general language development. The children broaden their cultural and social sensitivity and enhance their creativity through exposure to French language and culture. We aim to promote mutual respect for each other amongst the members of our preschool community. We believe respectful relationships are fundamental to children?s learning and we respect the different cultures and values of each family. The Preschool’s priority is the children in its care. Our goals are to work with and for the stakeholders of the Preschool community. We aim to foster our children’s holistic development by supporting their needs and promoting their values, interests, culture and relationships through play and intentional teaching in stimulating learning environments. We aspire to ensure that our highly qualified staff provides the best quality care and education to our children within the guidelines of the National Quality Framework, The Education and Care Services National Law and Regulations, The National Quality Standards, The Early Years Learning Framework and the curriculum framework specified by the French Ministry of Education. It is our goal to encourage active, collaborative and positive relationships with our families and the wider community, to celebrate diversity and to maintain a consistent approach towards meeting the best interests of our children.